Cool weather, changing colors, and apples always mean fall for me. Yes, I know pumpkin flavored everything is everywhere right now. And don’t get me wrong, I love pumpkin, but when it comes to fall apples will always be my favorite food. My love of apples probably has something to do with growing up in the Pacific Northwest. That part of the United States is apple growing country. Apples in the fall remind me a little bit of home. Plus apples are just so good. 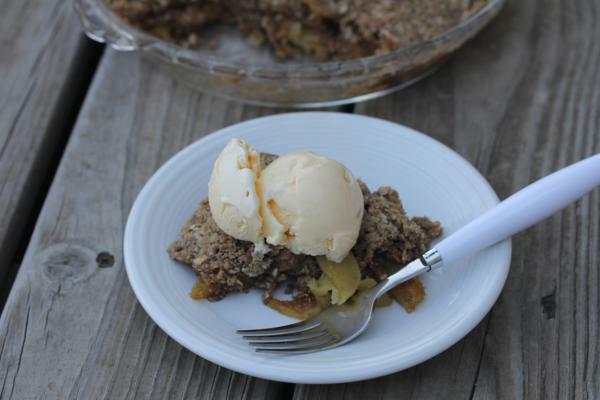 Today I am sharing a simple apple crisp. 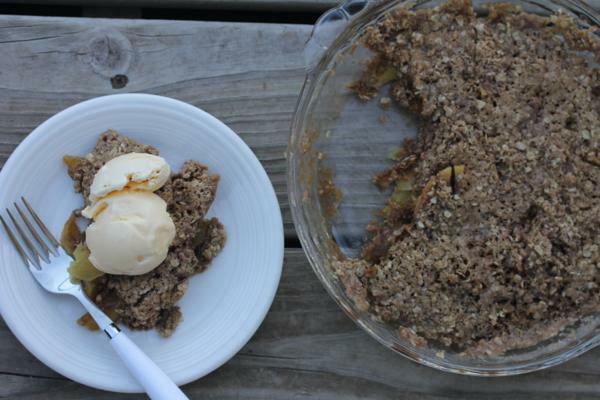 It is a microwave apple crisp and it goes together in no time. It takes 20 minutes or less to make from start to finish. This is one of those last minute, I need a dessert really fast, type of recipes. I love that I can make this in no time for my family or guests. 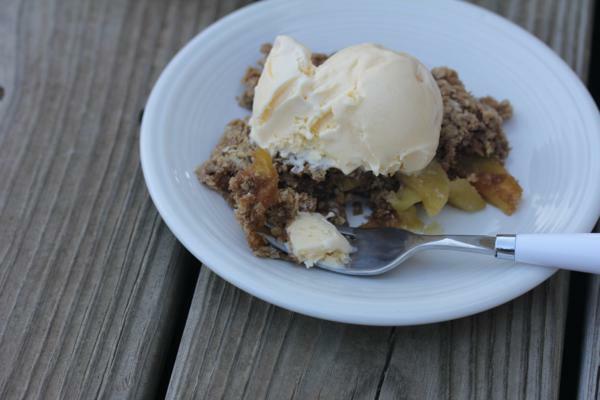 A simple fall dessert made easy using the microwave. 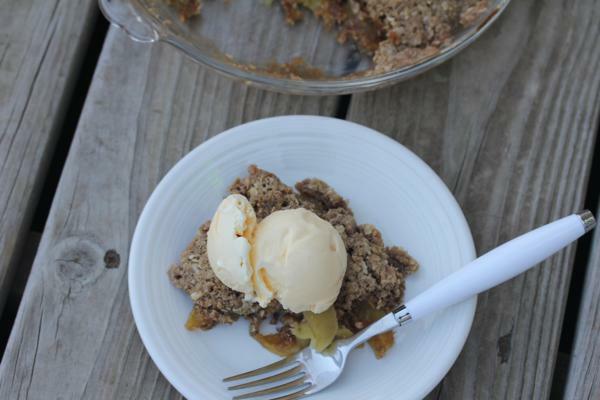 Place apples in a deep dish pie plate that is microwave safe. In a bowl combine brown sugar, oats, flour, and cinnamon. Mix in butter until well combined. Mixture will be crumbly. Microwave on high for 15 minutes or until apples are soft and cooked. Serve warm with ice cream or whipped cream.